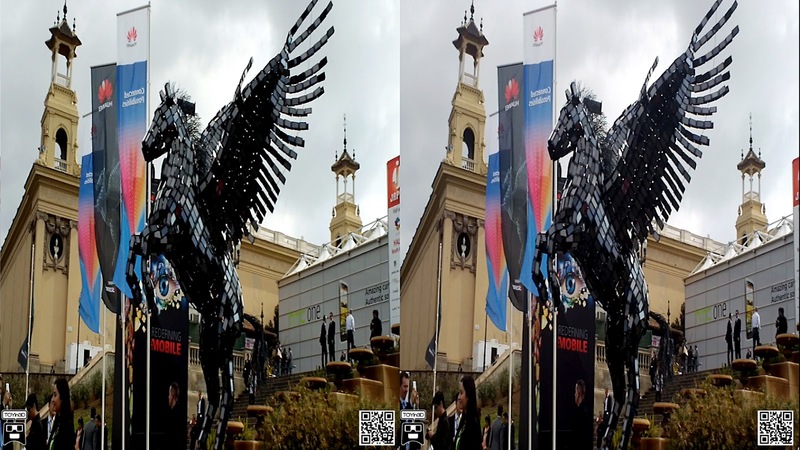 In case you saw our earlier coverage from Huawei’s press conference at MWC, you must have noticed the seriously cool Pegasus statue outside the venue. It is made from Huawei handsets, and aims to tell the world that the Chinese giant is ready to play alongside the heavyweights on the market for smartphones and tablets. The Pegasus statue is a seriously fascinating engineering achievement on its own, so Huawei have released a separate video to mark the occasion. The 5.7m tall Pegasus has a 4.8m wingspan, and was made at Machine shop in London. It has taken 720 man hours, 3,500 Huawei smartphones, and 600m of iron rod to put it together. It has been put into computer generated motion by the guys from the Oscar-winning Framestore. I guess the above fun facts should be more than enough. Check out the video itself below. It should be clear by now, that Huawei are just as serious about their marketing strategy, as they are about the success in their latest products. Time now to see how will the crowds react to Huawei’s offerings. The best ways to view these videos and pictures in 3D on your 2D mobile phone; first access from your mobile to "TOYin3D" or scans the QR code at the end of this post, now enter the mobile phone in your TOYin3D viewer; and enjoy the 3D scenes!! !